As we enter into the second half of the year, July is a perfect time to reflect and reinforce existing relationships, as well as think about how we can grow in the days to come. What’s your plan to prevent existing customer relationships from melting away in the summer sun? What about a strategy to bring the heat against your competition and gain more customers? 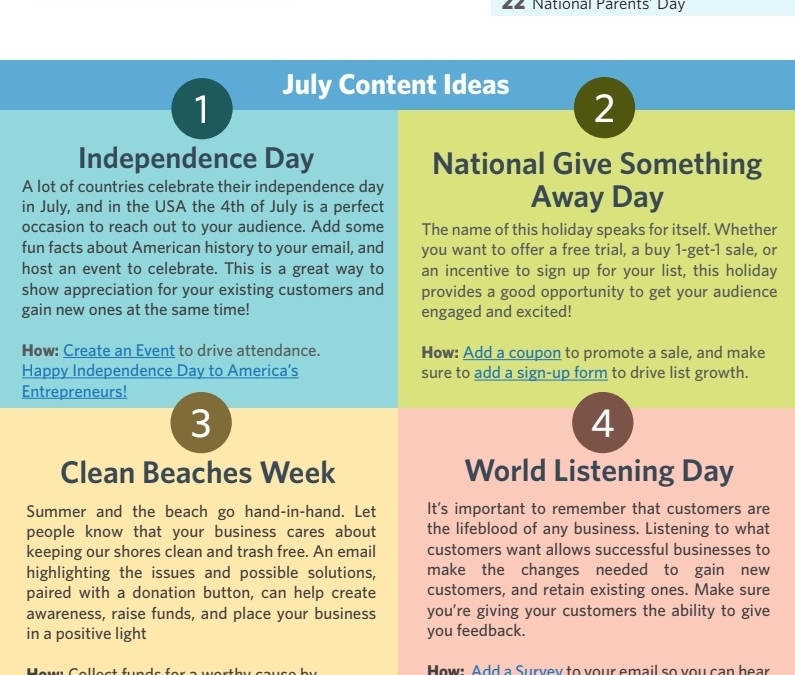 Whether your focus is to engage your existing audience, grow your list, or both, the July 2018 Marketing and Holiday Infographic below should help you keep your cool this July.